<This site is currently under construction. However, you can download the free Writer’s Tarot handbook. This complete handbook is available for a short time only. Eventually it will be replaced by a shorter leaflet and produced as a purchasable hardcopy only. 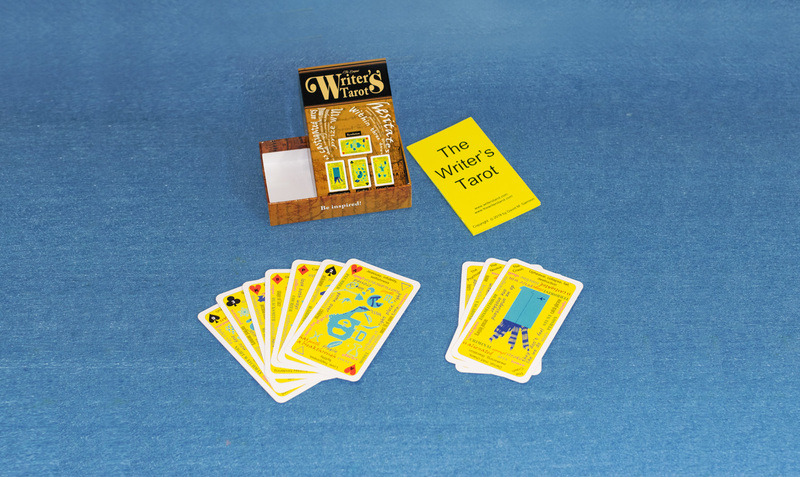 see also the YouTube video: The original Writer’s Tarot. Be inspired #1. Checkout the video for a first impression! If you have PayPal you can place an order by writing to info@writerstarot.com.